Kesari lifetime box office collection: Kesari crosses 150 crore mark at the domestic box office, Akshay Kumar’s first Bollywood movie to achieve this feat. A big reason to celebrate for Akshay Kumar as Kesari become his first Bollywood movie to cross 150 crore mark at the domestic box office. Last year release 2.0 earned 180+ crores in Hindi but that was primitively a Rajinikanth film. Released on 21st March 2019, Akshay Kumar’s period drama film got off to a pretty good opening. 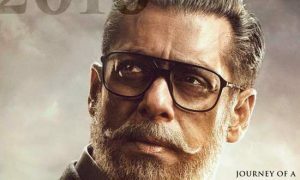 It earned 21.06 crores on its first day to register the highest opening of 2019. In the first weekend (4 days) Kesari managed to cross 75 crore mark. It continued its glorious run over the first week to enter the elite 100 crore club. However, in the second week, the movie witnessed a huge drop in numbers. It earned 29.66 crores in the second week, thus registering a drop of around 70% from the first week. 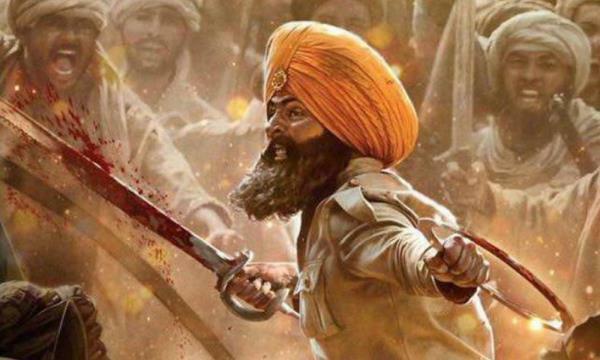 With the release of John Abraham’s RAW on 5 April 2019, Kesari witnessed a considerable drop in the third week. It collected 11.69 crores in the third week. In the fourth weekend, the movie earned around 5 crores and now stands at 150+ crores. With the collection of 150+ crores, Kesari is Akshay Kumar’s highest grossing Bollywood movie. It has beaten the lifetime collection of biggies like Airlift, Toilet: Ek Prem Katha, Rowdy Rathore. 1) Second highest opening day grosser for Akshay Kumar. Gold released on 15 Aug 2018 earned 25.25 crores on the first day. 3) Highest opening weekend grosser of 2019 beating Gully Boy (72.45 crores). 4) Highest opening week grosser of 2019 beating Gully Boy (100.3 crores). 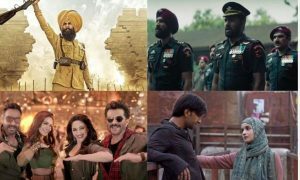 5) Third highest grosser of 2019 after Uri: The Surgical Strike (244 crores) and Total Dhamaal (152 crores). The total budget of Kesari including the promotion and advertising cost is 100 crores. With the collection of 150+ crores it is already a big hit at the box office. Kesari has slowed down considerably at the box office. With Karan Johar’s Kalank releasing on 17 April 2019, Kesari won’t be able to add more to its total. Kesari Lifetime box office collection would be around 155 crores.